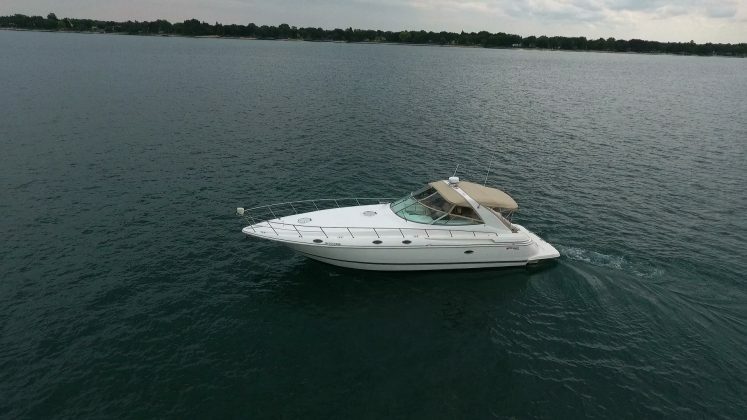 This 1997 Cruisers 4270 Esprit is proof that the age of a boat can sometimes be just a number. 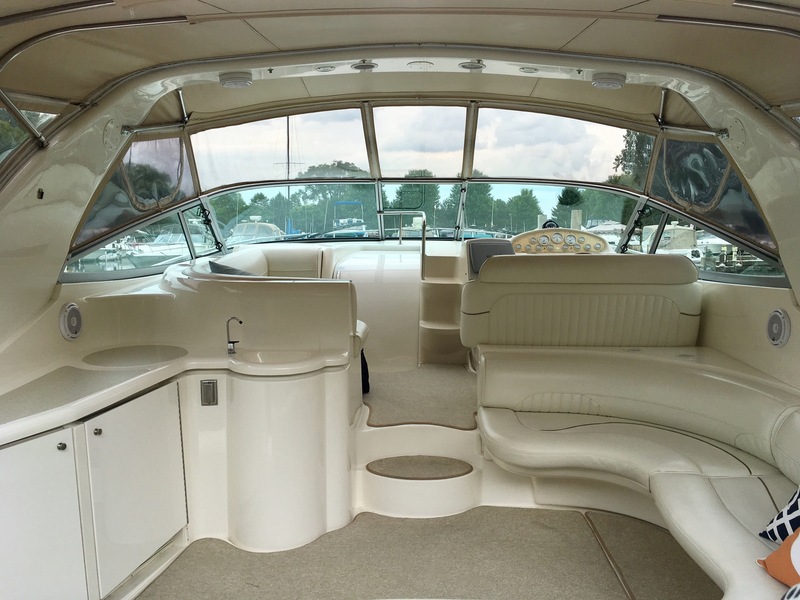 If you find one as immaculately well maintained as this, a 20-year old boat is nothing to overlook. The engine room is a good place to start, as it will offer up telltale signs of age or neglect. The engines on this boat are nice and clean though they have 800 hours on them, meaning they have been looked after. And the maintenance logs on board show the proper care has been taken year over year. 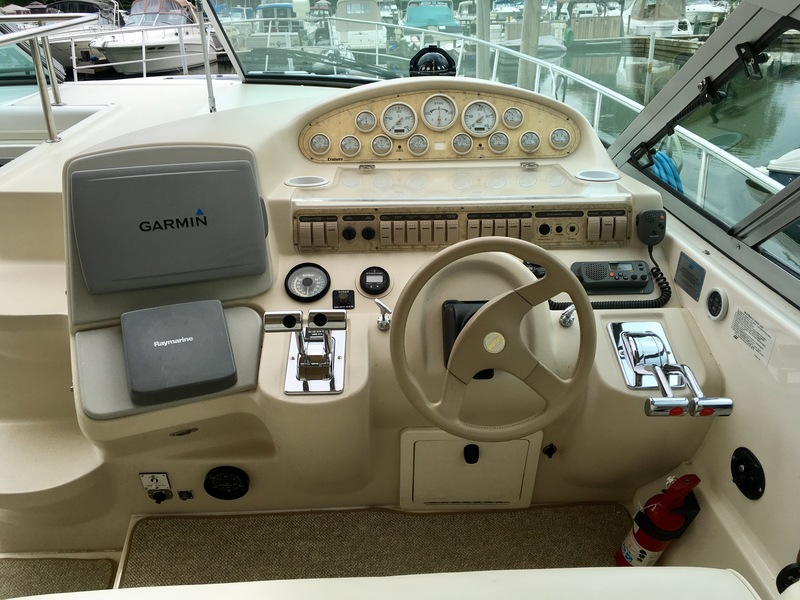 The helm looks dated compared to today’s glass-dash displays but it’s intuitively laid out with excellent sightlines. 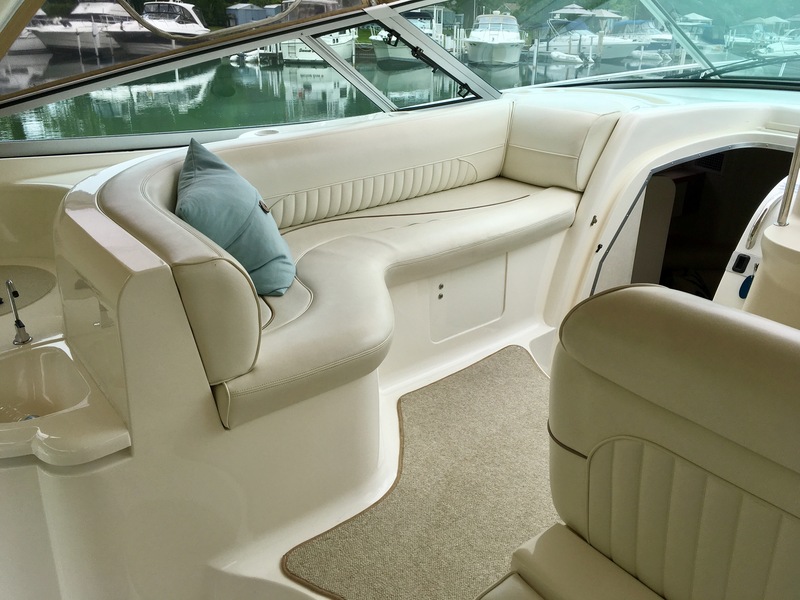 Opposite is a passenger seat that can be used for forward-facing running or as a bench for entertaining. The aft cockpit has a wraparound bench and refreshment stand and the massive swim platform gives easy access to the large lazarette. 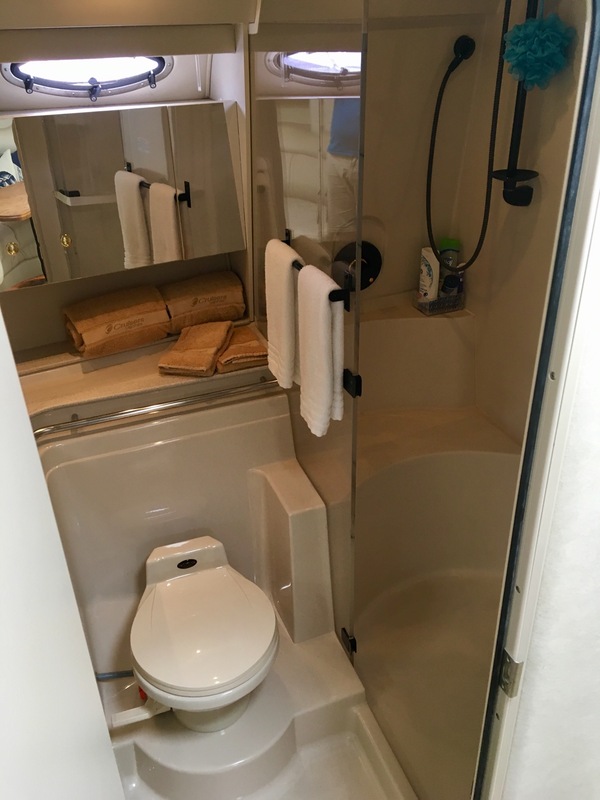 Down below you’ll find a two-stateroom layout, with the master at the bow including large drawers under the bed and cheater door into the main head. The guest stateroom is under the cockpit, but has decent headroom for this size boat and would be great for kids with its twin beds and a TV. Opposite is another head. 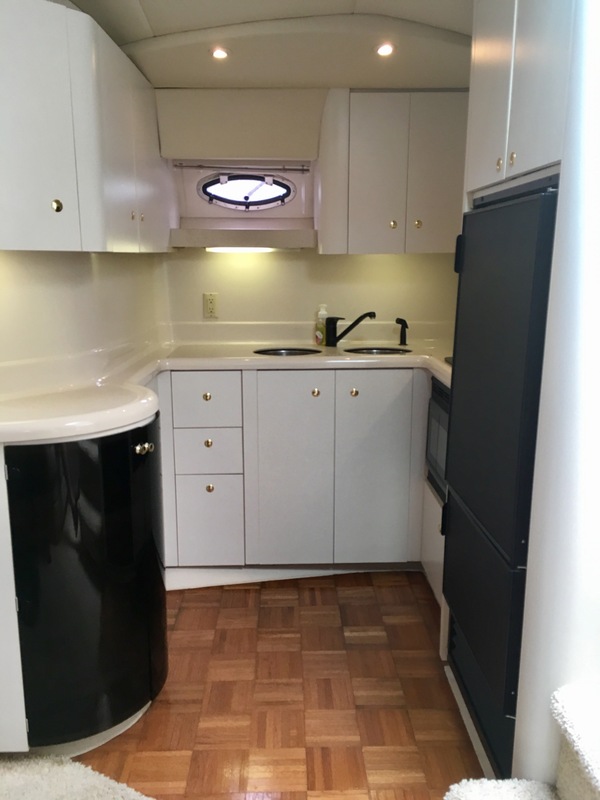 The galley is to starboard and out of the way of the main walkthrough and eating area. Clever uses of space include the electrical panel above the stovetop and a flat screen TV on a swivel mount added above the large refrigerator and hidden behind cabinet doors. 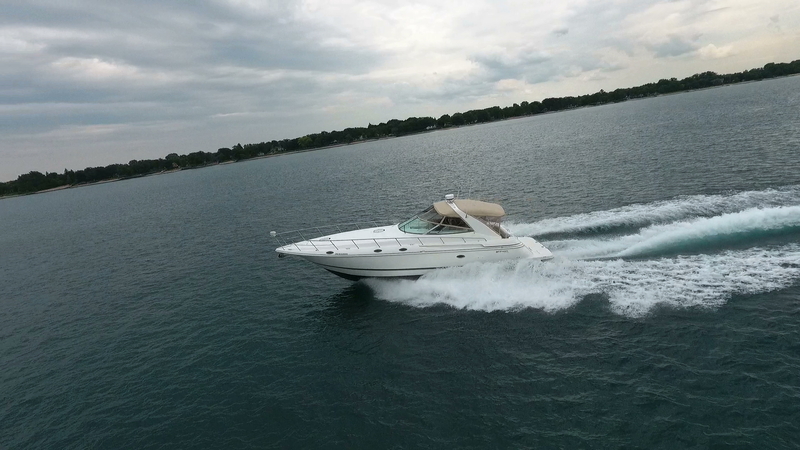 It has all the features of a comfy weekender or liveaboard for a couple or small family, but when you’re out on the water it feels like a small and sleek sport boat. 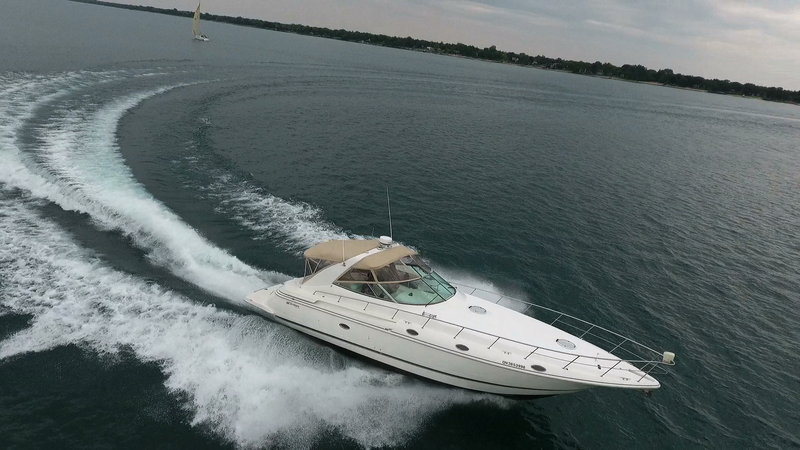 Cruising in the high 20s, we found 28 miles per hour was the sweet spot on our test day. 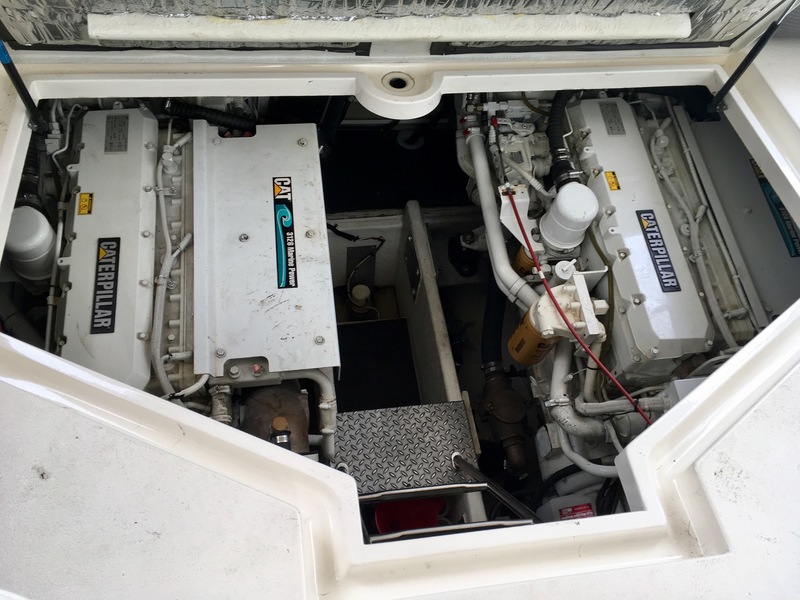 We didn’t want to push 20-year old engines on this borrowed boat, but the owner confided he had pushed the limits in the past to 39 miles per hour. Most impressive of all is the handling. The cornering is something I usually only experience on small, high powered, deep-V performance-oriented runabouts. But the 4270 was right there with them. 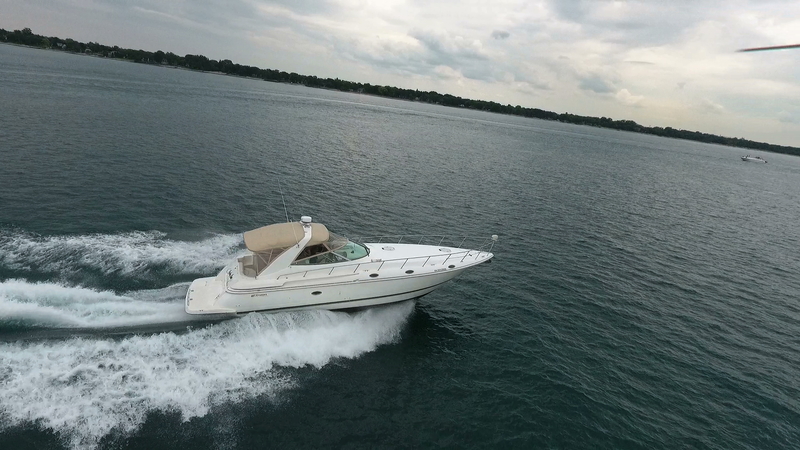 This offers both comfortable entertaining and living space with high performance fun. It’s rare to find one in such good shape on the used market, but as this Cruisers proves, they are out there! This boat is featured in the Spring 2017 issue of Boats&Places.